Your Source for Residential and Bulk Firewood Sales in Ohio. Our split firewood is made from 100% hardwoods. You can come and pick it up at our facility or we can deliver it to you. Our firewood is approximately cut to 18″ long. We can also special cut the firewood to any desired length for you. We also have block wood for sale as well. Block wood has no bark on it and comes in different sizes, nothing longer then 20″ in length. We can deliver firewood throughout the Southern Ohio area, including Columbus, Ohio - Cincinnati, Ohio - Circleville, Ohio - Dayton, Ohio - Springfield, Ohio - Athens, Ohio - Newark Ohio, Northern Kentucky, West Virginia and many more cities. Our firewood is delivered with over 30 years experience supplying homes and businesses with a premium firewood. Our firewood includes walnut, poplar, oak, maple, cherry, hickory and all mixed hardwoods. We Sell Firewood all Seasons. The firewood is generally 16-20" in length and has a quarter split. Please inquire below about firewood delivery rates. 3 tons minimum. 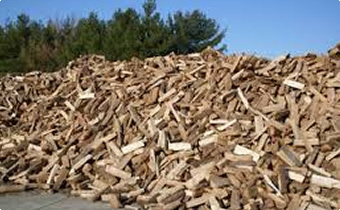 Please Call us Ahead of Time to get current prices for FIREWOOD FOR SALE IN OHIO. Our offices Phone Number is 740-332-8515. Our firewood delivery is fast and always running. Ask our sales staff for a free quote. Delivery time runs approximately 1-7 days, depending on time of year. The delivery will be in the morning or afternoon. We will call you the before delivery.